SAP Controlling (CO) offers information to decision makers for planning, measuring and monitoring enterprise’s operations and performance. It represents the internal accounting view of an organization. The data which is relevant to revenue and cost are created from various sources such as Financial Accounting (FI), Materials Management (MM), etc. The cost and revenue flows will update FI and simultaneously create equivalent postings in CO. The system assigns the revenues and expenses to different CO account assignment objects like profitably segments, cost centers or orders. The relevant accounts in financial accounting are managed in Controlling as cost accounts or revenue accounts. SAP Cost Center accounting monitors costs and assigns them to the location at which they occurred in line with their source(s). These costs can include salaries, rental cost or any other cost that can be assigned to an existing cost center. In order for SAP Cost Center Master data to be created, the following two configurations have to be maintained. The standard hierarchy is a structure to which all cost centers within a controlling area must be assigned. A cost center can only be assigned to one node on the standard hierarchy. However, different cost center groups can be created for additional reporting requirements. The nodes in the standard cost center hierarchy are primarily intended for reporting requirements and can be changed. Also, additional nodes can be added as the business requirements change. SAP Cost Center assignment to a hierarchy node can be changed as per business requirement during its lifetime. A node can only be deleted if there is no cost center assigned to this node. SAP Cost Center(s) will be created under a node in the Cost Center Hierarchy. This node can be a node directly under the Standard Hierarchy or a sub node under that. 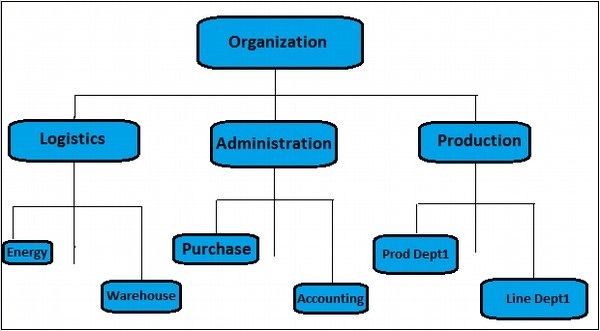 There can be multiple sub nodes to reflect the organization structure in the Cost Center Standard Hierarchy. Irrespective of the node under which the cost center is created, it will be linked to the Profit Center to which it belongs to. The main element of configuration is the cost center category. The cost center category is an indicator in the master record that specifies a category for additional reporting options and default master data settings applied at the moment of a cost center creation. A Cost Center is defined as a component in an organization that adds to the cost and indirectly adds to the profit of the organization. Examples include Marketing and Customer Service. The simple and straightforward division in an organization can be classified as cost center because cost is easy to measure. All postings relevant to Controlling will primarily flow from Financials, Logistics and HR modules. In addition, the allocation and distribution of costs will happen within the Controlling module. The CO configuration settings will ensure that FI and CO are always synchronized and no manual reconciliation processes are required. Every Profit & Loss G/L Account, which is also created as a Cost Element, will make it mandatory to enter a cost object during document postings. However, many postings like payroll or depreciation will inherit the cost object from the relevant master data.